Answer: Assyria’s conquest of the northern kingdom of Israel began approximately 740 BC under King Pul. First Chronicles 5:26 notes, “So the God of Israel stirred up the spirit of Pul king of Assyria, the spirit of Tiglath-pileser king of Assyria, and he took them into exile, namely, the Reubenites, the Gadites, and the half-tribe of Manasseh, and brought them to Halah, Habor, Hara, and the river Gozan, to this day.” These tribes, located east of the Jordan River, were the first ones conquered by Assyria. Nearly 20 years later, about 722 BC, the capital city, Samaria, was overtaken by the Assyrians under Shalmaneser V. After first forcing tribute payments, Shalmaneser later laid siege to the city when it refused to pay. Following a three-year siege, 2 Kings 17:5-6 notes that, “in the ninth year of Hoshea, the king of Assyria captured Samaria, and he carried the Israelites away to Assyria and placed them in Halah, and on the Habor, the river of Gozan, and in the cities of the Medes.” And in 701 BC the Assyrians marched south into Judah; however, they were unable to capture Jerusalem due to the Lord’s intervention (2 Chronicles 32:22). The Lord had long warned Israel of judgment, going all the way back to Moses’ stern warning in Deuteronomy 28:62–65. Second Kings 17:13 says, “Yet the LORD warned Israel and Judah by every prophet and every seer.” Many attempts had been made to turn the people back to the Lord, including efforts by Elijah and Elisha, two of the greatest prophets in Israel’s history. Second Kings 17:15–17 describes the many ways in which Israel sinned against the Lord, leading to His judgment upon the land: “They despised his statutes and his covenant that he made with their fathers and the warnings that he gave them. They went after false idols and became false, and they followed the nations that were around them, concerning whom the LORD had commanded them that they should not do like them. And they abandoned all the commandments of the LORD their God, and made for themselves metal images of wo calves; and they made an Asherah and worshiped all the host of heaven and served Baal. And they burned their sons and their daughters as offerings and used divination and omens and sold themselves to do evil in the sight of the LORD, provoking him to anger.” Israel broke the Law, worshiped other gods—even burning their children as offerings—and used divination as part of their godless lifestyle. Verse 18 notes, “Therefore the LORD was very angry with Israel and removed them out of his sight. None was left but the tribe of Judah only.” Though a remnant remained in the north, the nation of Israel was under Assyrian rule, and tens of thousands were deported and made servants in Assyria. 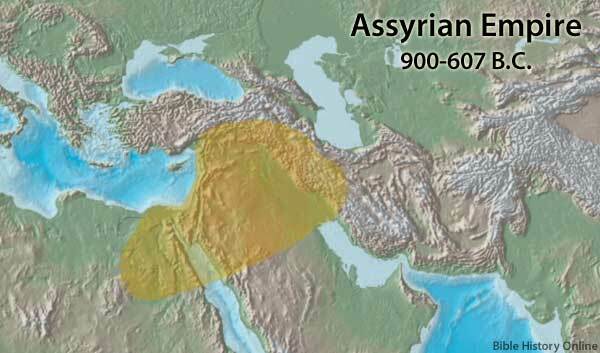 Further, the Assyrians began to populate Israel with people from other nations they had defeated. Verse 24 says, “And the king of Assyria brought people from Babylon, Cuthah, Avva, Hamath, and Sepharvaim, and placed them in the cities of Samaria instead of the people of Israel. 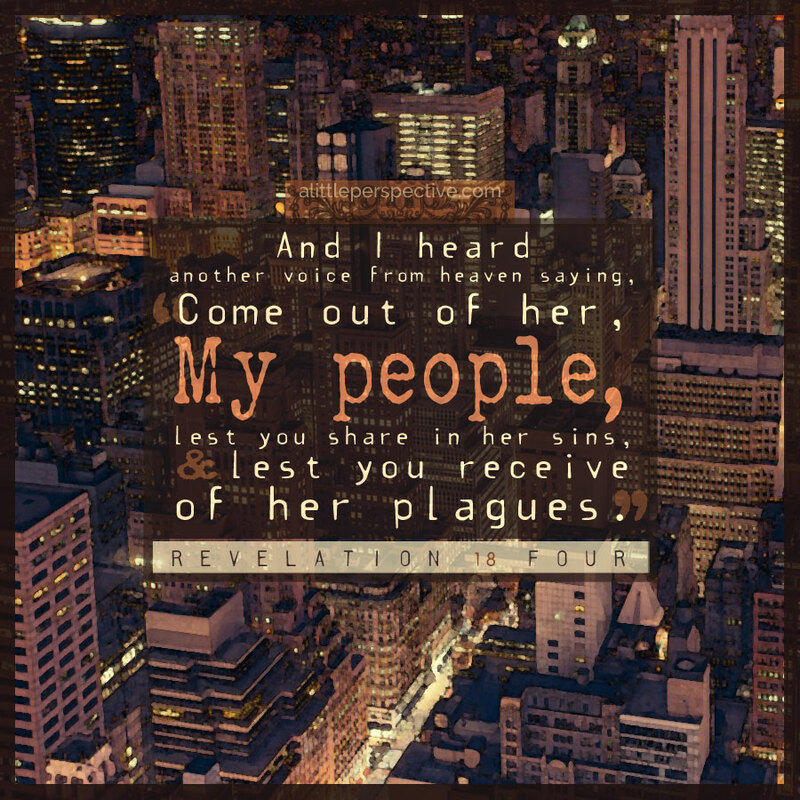 And they took possession of Samaria and lived in its cities.” The descendants of these foreigners and the remnant of Israel were later simply called “Samaritans.” During the time of Christ, the Samaritans were despised as an “unclean” people because of their mixed ancestry and rejection of temple-based worship. No, not so fast! This history lesson affects you and me, so let’s dig a little deeper. Somewhere in history, it became fashionable to use the nickname of “Jews” to refer to Israel. However, our history lesson today shows us that this is not entirely accurate. The sons of “Israel,” which was the name God gave to the patriarch Jacob, included twelve men: “Now the sons of Jacob were twelve: the sons of Leah were Reuben, Jacob’s firstborn, and Simeon, Levi, Judah, Issachar, and Zebulun; the sons of Rachel were Joseph and Benjamin; the sons of Bilhah, Rachel’s maidservant, were Dan and Naphtali; and the sons of Zilpah, Leah’s maidservant, were Gad and Asher” (Genesis 35:22-26). Joseph was given the birthright, which was split between his two sons, Ephraim and Manasseh (Genesis 48:5). The tribe of Levi was given no inheritance in the Land, since they served YHVH in His sanctuary and He was their inheritance. They lived among all twelve tribes, throughout the entire Land. However, the twelve tribes did not stay a unified nation for long. During the reign of Rehoboam (the 4th king of Israel), there was a split, much like a civil war, splitting the nation into north and south. The south consisted of Judah and Benjamin (and many of the Levites). In Scripture, they are often referred to as Judah. Their capital remained at Jerusalem, where Temple worship continued. The north consisted of the remaining ten tribes (and some of the Levites). In Scripture, they are often referred to as “Israel,” the “House of Israel,” or “Ephraim,” after their largest tribe. Their capital was established in Samaria, where a similar form of worship to Judah’s was formed, but one which mixed with the idolatry of the Canaanite nations that surrounded them. 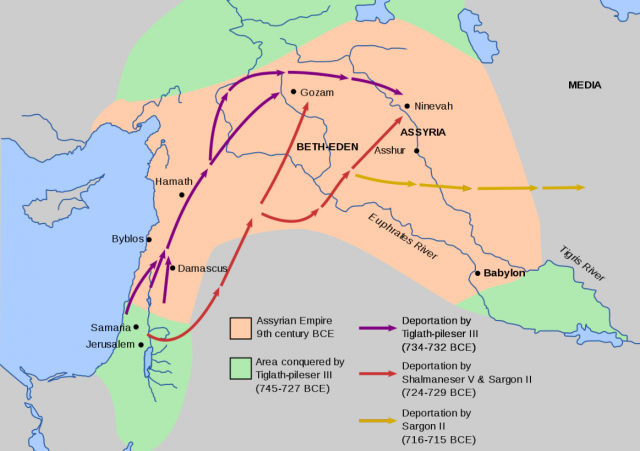 The ten tribes of the northern kingdom were taken captive by the Assyrians in 721 bc and have not yet returned. The two tribes of the southern kingdom, which were taken captive by Nebuchadnezzar in 586 bc, were returning after seventy years under the leadership of Ezra the scribe. Torah is not the province of Jews only, the two tribes and Levi, but it is the heritage of all the children of Israel, including those of the house of Ephraim, who might to this day find themselves among Gentiles and Christians. It was against Israel — the ten northern tribes, not including Judah and Benjamin in the south — that Assyria came about 700 years before Yeshua lived on earth. It was a horrible time. The Assyrian army was known to be ruthless, fierce, and cruel when they conquered a nation (Source 1 and Source 2). Kings were impaled and their heads were hung from trees, enemy soldiers were massacred, cities were laid siege to and starved, villages were burned, women were raped, and girls were enslaved. Entire populations were deported and resettled in other towns of the vast Assyrian empire, where they were forced to assimilate with the peoples of their new home, even to the point of being required to worship Asshur, the sun god at the head of Assyrian worship. If any remained in their homeland, they were forced into poverty because of the extremely heavy taxes imposed. The Bible describes Assyria as an eagle. 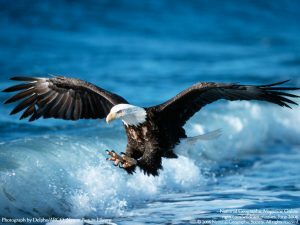 The word eagle in Hebrew is nesher, which means “a tearer with the beak.” Like an eagle, the Assyrians descended upon the tribes of northern Israel with swiftness of flight (Deuteronomy 28:49) and preyed upon even dead bodies. The Assyrians were employed by God himself and sent forth to do a work of destruction, sweeping away what God described as a nation that was decaying, rotten, putrid, and abominable in His sight (Isaiah 46:11; Ezekiel 39:4; Deuteronomy 28:49; Jeremiah 4:13; Jeremiah 48:40). “Ephraim mixes with the nations; Ephraim is a flat loaf not turned over” (Hosea 7:8, NIV). They will begin to waste away under the oppression of the mighty king” (Hosea 8:8-10, NIV). “They will not remain in YHVH’s land; Ephraim will return to Egypt and eat unclean food in Assyria” (Hosea 9:3). “My God will reject them because they have not obeyed him; they will be wanderers among the nations” (Hosea 9:17). “For the Israelites will live many days without king or prince, without sacrifice or sacred stones, without ephod or household gods” (Hosea 3:4, NIV). You’re doing really well in today’s history lesson! Great job! So let’s review a little bit more. Do you remember the names of the first three kings of Israel (before it was divided into two nations)? We had read what great wealth came into Solomon’s treasuries every year from tribute from foreign nations. The burden that Israel complained of to Rehoboam, saying, “Your father made our yoke heavy, now therefore, lighten the burdensome service of your father and his heavy yoke which he put on us, and we will serve you,” (2 Chr 10:4) — that was a tax burden. Kings in the ancient world rarely taxed their own people; their revenue came in from foreign tribute. But in order to build the Temple, Solomon began taxing his own people, and they were willing to pay it, because it was for the Temple. But notice that after the Temple was completed, the tax stayed. Such is ever the way — how hard it is for a government or bureaucracy, once they get used to a stream of income, to wean themselves from it! It almost never happens. So when Rehoboam denied the people’s request to lighten their burden, and instead sent his man Hadoram to collect the revenue from Israel, the children of Israel stoned him to death with stones (2 Chr 10:18). The children of Israel were willing to pay a fair revenue, but they drew the line at an unfair revenue that burdened them excessively. There is no such revenue commanded in Torah; in fact, in Torah, God makes no provision for the people to support a king or his government, but they are to support the priests and Levites with tithes and offerings, and the widows, orphans, strangers, and poor among them. The heavy taxation trouble that Rehoboam started almost resulted in civil war! (Who can blame them?) The northern tribes split off from the southern tribes, and they chose to make Jeroboam, of the tribe of Ephraim, their king. Jeroboam now built the city of Shechem in the hill country of Ephraim, and it became his capital. Later he built Penuel. 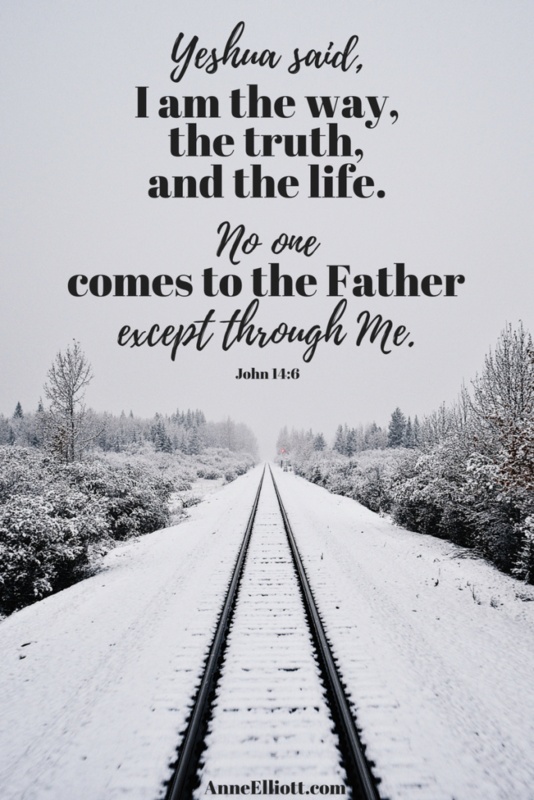 I know this is a blog post and that it’s getting long, but would you take a moment to read the summary of all of this, written in the Bible in the book of 2 Kings? This disaster came upon the nation of Israel because the people worshiped other gods, thus sinning against YHVH their God who had brought them safely out of their slavery in Egypt. They had followed the evil customs of the nations which YHVH had cast out from before them. The people of Israel had also secretly done many things that were wrong, and they had built altars to other gods throughout the land. They had placed obelisks and idols at the top of every hill and under every green tree; and they had burned incense to the gods of the very nations which YHVH had cleared out of the land when Israel came in. So the people of Israel had done many evil things, and YHVH was very angry. Yes, they worshiped idols, despite YHVH’s specific and repeated warnings. Again and again YHVH had sent prophets to warn both Israel and Judah to turn from their evil ways; he had warned them to obey his commandments which he had given to their ancestors through these prophets, but Israel wouldn’t listen. The people were as stubborn as their ancestors and refused to believe in YHVH their God. They rejected his laws and the covenant he had made with their ancestors, and despised all his warnings. In their foolishness they worshiped heathen idols despite YHVH’s stern warnings. They defied all the commandments of YHVH their God and made two calves from molten gold. They made detestable, shameful idols and worshiped Baal and the sun, moon, and stars. They even burned their own sons and daughters to death on the altars of Molech; they consulted fortune-tellers and used magic and sold themselves to evil. So YHVH was very angry. He swept them from his sight until only the tribe of Judah remained in the land. But even Judah refused to obey the commandments of YHVH their God; they too walked in the same evil paths as Israel had. So YHVH rejected all the descendants of Jacob. He punished them by delivering them to their attackers until they were destroyed. For Israel split off from the kingdom of David and chose Jeroboam I (the son of Nebat) as its king. Then Jeroboam drew Israel away from following YHVH. He made them sin a great sin, and the people of Israel never quit doing the evil things that Jeroboam led them into, until YHVH finally swept them away, just as all his prophets had warned would happen. So Israel was carried off to the land of Assyria where they remain to this day. And the king of Assyria transported colonies of people from Babylon, Cuthah, Avva, Hamath, and Sepharvaim and resettled them in the cities of Samaria, replacing the people of Israel. So the Assyrians took over Samaria and the other cities of Israel. But since these Assyrian colonists did not worship YHVH when they first arrived, YHVH sent lions among them to kill some of them. The king of Assyria then decreed that one of the exiled priests from Samaria should return to Israel and teach the new residents the laws of the god of the land. So one of them returned to Bethel and taught the colonists from Babylon how to worship YHVH. But these foreigners also worshiped their own gods. They placed them in the shrines on the hills near their cities. Those from Babylon worshiped idols of their god Succoth-benoth; those from Cuth worshiped their god Nergal; and the men of Hamath worshiped Ashima. The gods Nibhaz and Tartak were worshiped by the Avvites, and the people from Sephar even burned their own children on the altars of their gods Adrammelech and Anammelech. They also worshiped YHVH, and they appointed from among themselves priests to sacrifice to YHVH on the hilltop altars. But they continued to follow the religious customs of the nations from which they came. And this is still going on among them today—they follow their former practices instead of truly worshiping YHVH or obeying the laws he gave to the descendants of Jacob (whose name was later changed to Israel). For YHVH had made a contract with them—that they were never to worship or make sacrifices to any heathen gods. They were to worship only YHVH who had brought them out of the land of Egypt with such tremendous miracles and power. The descendants of Jacob were to obey all of God’s laws and never worship other gods. For What Sins Were They Cut Off? For a moment, I’d like to take a quick diversion and look back into the Torah, to see what YHVH had promised to do if His people forsook Him. Well… that’s not exactly right. Actually the Torah says that it is possible to obey God’s commands (and Paul himself repeats this in Romans 10:5-8). “For this commandment which I command you today is not too mysterious for you, nor is it far off. It is not in heaven, that you should say, ‘Who will ascend into heaven for us and bring it to us, that we may hear it and do it?’ Nor is it beyond the sea, that you should say, ‘Who will go over the sea for us and bring it to us, that we may hear it and do it?’ But the word is very near you, in your mouth and in your heart, that you may do it” (Deuteronomy 30:11-14). Because I’m a curious sort of person, I looked up every instance of the word “cut off” in the Scriptures. (There are hundreds of them.) The Hebrew word means to die (see Strong’s #3772), and in every single instance, that is exactly what it meant! It’s not a good thing to commit a cut-off offense, to say the least. Ouch! Do you know anyone who has not committed at least one of these offenses? We have the ability to not do them, but we are rebellious and wish to go our own way or follow the crowd. “For My name’s sake I will defer My anger, and for My praise I will restrain it from you, so that I do not cut you off” (Isaiah 48:9). “YHVH is not slack concerning His promise, as some count slackness, but is longsuffering toward us, not willing that any should perish but that all should come to repentance” (2 Peter 3:9). And Israel was cut off. Goodness, in typical Anne-fashion, this post has already been too long, so I’ll try to come back next time with more about the intriguing topic of being cut off. Let’s not make our history lesson just head learning. Let’s apply it to our lives. You, therefore, have no excuse, you who pass judgment on someone else, for at whatever point you judge another, you are condemning yourself, because you who pass judgment do the same things. Now we know that God’s judgment against those who do such things is based on truth. So when you, a mere human being, pass judgment on them and yet do the same things, do you think you will escape God’s judgment? Or do you show contempt for the riches of his kindness, forbearance and patience, not realizing that God’s kindness is intended to lead you to repentance? Would it be worth taking one more look at that list of “cut-off offenses”? Yes, indeed! God does not show favoritism. Not even to us. 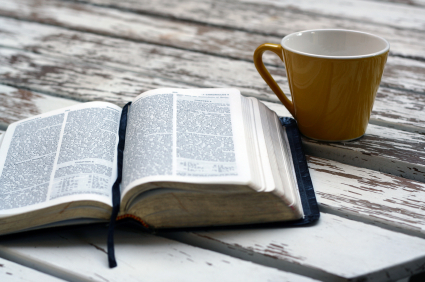 Unless otherwise noted, all Scripture in this blog post taken from the New King James Version®. Copyright © 1982 by Thomas Nelson. Used by permission. All rights reserved.